These days the media likes to portray cyber-criminals as highly sophisticated computer wizards. This “cyber-criminal” is devising the ultimate algorithm to use your online shopping habits to hack into your personal data and deploy it to his or her own personal gain — wrecking your credit score in the process. Well, the fact of the matter is that the average cyber-criminal is not quite that clever. While there are such criminal masterminds out there, their targets usually include banks, large corporations, and even governments. Targeting a single individual — such as yourself — would be inefficient compared to some of the juicier targets available. Instead, the vast majority of cyber-crime that the average American suffers from relies on the poor behavior of the victim. The common cyber-criminal doesn’t go hunting for prey. Instead, he lies in wait until a hapless internet user surfs by. Only then is the trap sprung, a trap that capitalizes on the victim’s bad habits to steal his or her identity and financial information. Don’t let yourself fall victim to identity theft and find your credit score devastated by someone else’s criminal activities. Adopt these safe practices when buying things online so that you can keep sensitive information secure. 4 What if I’m Already a Victim? Expediency has become the name of the game in online shopping. It’s common for large online vendors like Amazon to save your credit card information from purchase to purchase. For many of us, this practice is a harmless convenience. All we have to do to make a purchase is log in to our account and click on our item of choice. This is a nice feature when you’re in a hurry, but it also means that anyone who can crack your account can go on a shopping spree with your credit card. And of course, having some stranger using your credit card without your knowledge is a quick, easy way to find yourself struggling to pay bills you never planned or budgeted for. However, forcing your way into another person’s account is no easy feat. Companies like Amazon also take your account security very seriously and store that information encrypted within a digital Fort Knox. So instead of planning an elaborate heist, often the easier way for a cyber-criminal to break into your account is through the front door — guessing someone’s password is the easiest way to get at their credit card information. Be eight characters or longer. This makes it harder for a hacker to guess each character in your password. Use numbers, letters, and symbols like @, #, or &. Something that’s obvious to you, so that you can remember it, but difficult for another person to guess. Use different passwords for different sites. This way, if one site is compromised, your other accounts remain secure. A password manager like Dashlane can be helpful so you don’t have to remember each one. I mentioned that companies like Amazon do a lot to keep your information secure. This is definitely true of a lot of online vendors — it’s important for them to keep customers safe, so that we keep coming back. Think of it like this: you wouldn’t keep going to a brick and mortar store where the roof was always caving in, so you won’t shop at an online store where your information gets stolen either. While many well-recognized vendors are on top of their security, this is less likely to be true the further you get from the internet mainstream. Some vendors try to cut corners and save money on security, but this will only ever end up costing their customers. Even worse, sometimes there’s no vendor at all, but instead a clever ruse designed to trick you out of your credit card information. The first defense against unsecured websites is a smell test. If a site looks sketchy, then it probably is. If you want to dig a little deeper, look up reviews of the vendor on other websites that you trust. If lots of customers report a bad experience, then you can probably take that to the bank. One other thing you can do is to take a close look at the URL. First, make sure that it exactly matches the site that you intended to go to. Second, look to see if it starts with HTTP or HTTPS. The S in HTTPS means that your information is being sent through a secure connection with this website. Never send sensitive information through an unsecured connection. Sometimes you have no choice but to go with a vendor that you’re not 100 percent sure about. In this case, you should always use a prepaid, or secured credit card to make your purchase. This way, if the vendor turns out to be a bad apple, you aren’t putting your entire bank account at risk while you sort things out. The prepaid card limits thieves’ ability to leverage your credit and accumulating debt without your knowledge; your credit score won’t take a hit on the off-chance someone gets hold of this card’s information. Prepaid cards can also be helpful when signing up for free trials. Companies that offer free trials will often ask for your credit card information with the hope that you will forget to cancel after your free month us up. If you do forget and you gave them a secured card with a very small balance, you won’t have to watch your score plummet and your bank account get drained by your mistake. If you have already fallen prey to cyber-crime, then your financial information is probably in the hands of a malignant party. If you haven’t done so already, contact your credit card company to tell them that you are the victim of identity theft. They will cancel the stolen card and work with you to undo the illicit charges before your credit score takes a hit. 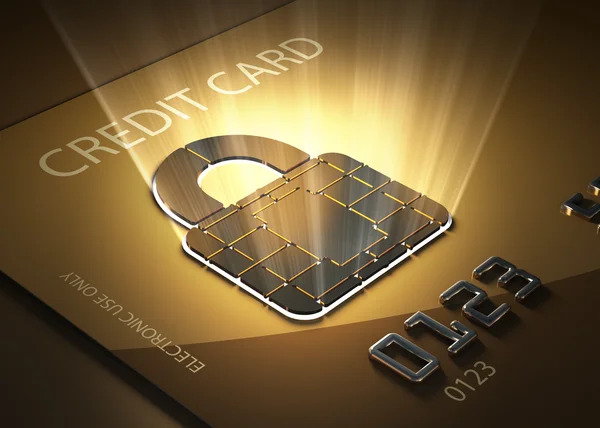 However, if you didn’t catch the cyber-crime shortly after it happened, you may find that your credit is suffering as you try to cope with debt that you didn’t take on. In this case, it may be wise to seek out credit repair help as you fight to come back from being a victim of cyber-crime. For more information on credit scores, visit our credit score learning center. Today’s world of online shopping has made buying and selling easier than ever. Alongside this modern convenience, a new breed of thieves has taken to the information superhighway. By adopting good habits for online shopping, you can make sure that you don’t fall prey to their crimes. This post was updated February 28, 2019. It was originally published July 22, 2017.